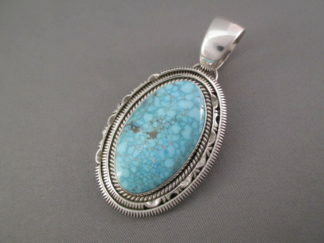 Turquoise Mountain Turquoise Cross Pendant! Sterling silver cross pendant with stamped bale and set with attractive Turquoise stones from the Turquoise Mountain mine. Made by Navajo jewelry artist, Tonya J. Rafael.